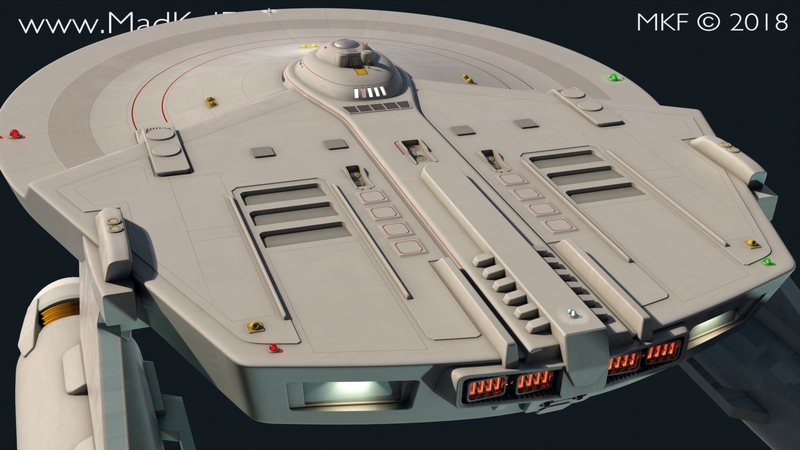 Foundation 3D Forums - View Single Post - MKF's Random Trek Crap! Thread: MKF's Random Trek Crap! Yeah kinda stuck on trek heh. Matter fill tank nozzles in a pit now, added some stuff on the belly maybe carried away on some of it. And added some TOS connie markings. Ignore the ****ery near those right of way lights be fixing that up soon, just some badly turned edges as max chose wrong yet again and given 2013 does edge turning as solid lines vs older dashed lines it gets a bit visually confusing as what is a hidden edge and what isnt. Oh yeah note lower grids are more pronounced as they are the wrong material atm. I do not think I will be extruding in any of the grids as they are 1" wide and a chamfer and extrude might be too tight for the renderer to resolve them meaning it would break up unless I set ungodly sample settings that would cause all sorts of other artifacts later on. 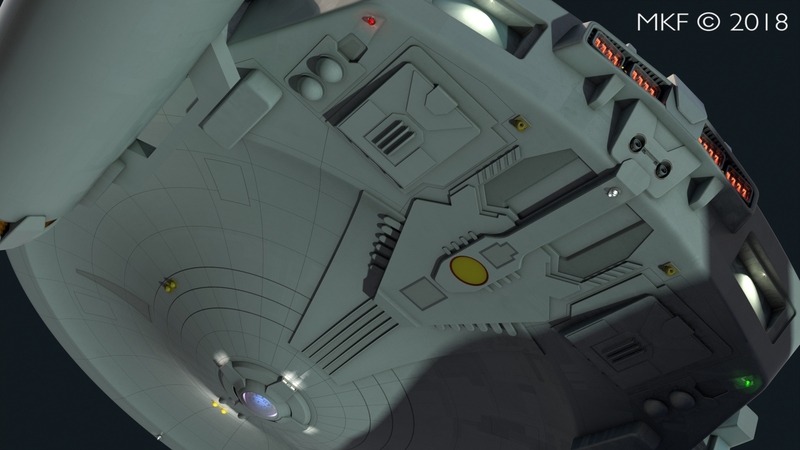 Also looking at the aft render, I am starting to think maybe too much is going on around the tops of the impulse drives. Maybe pull off those rib parts or the shunt bars? Also gotta remember to alter the red markings on those hatches as it is too much red gunk all over. What opinions are there on windows? Frosted to mimic the TOS studio model or clear to see into the rooms?